Go big or go home is what we always say, but this time we mean it quite literally. 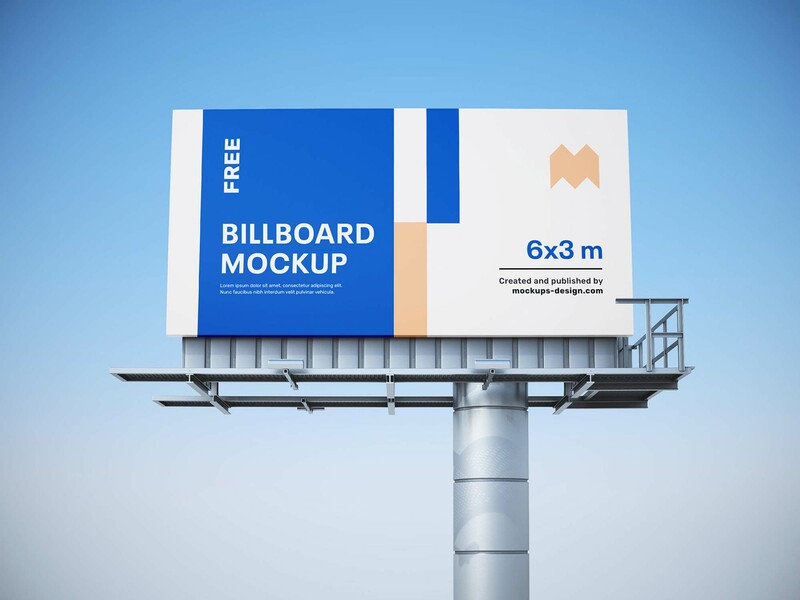 And since being a graphic designer is all about risks and putting yourself out there, today we give you the perfect opportunity to do so with this new freebie provided by Mockups Design. 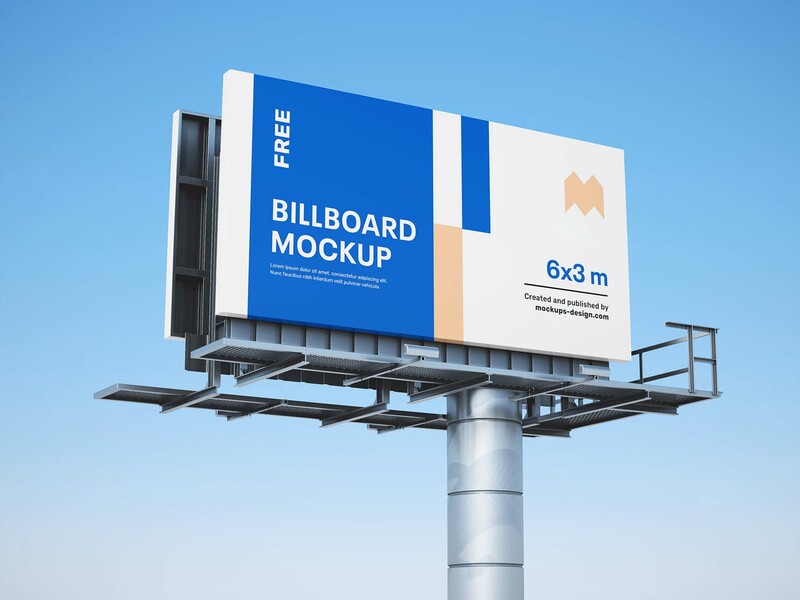 This 6 x 3 m billboard mockup is prepared in three PSD files that allow you to have three different views (front view, ¾ view, and bottom side view), so your designs will be seen from all angles. All of these files come in high resolution, not just to make your job easier, but to deliver high-quality end results that you and your viewers will immensely enjoy. And the editing process is easy-peasy. Just insert your designs, and change the color of the sign to fit the lovely blue sky.